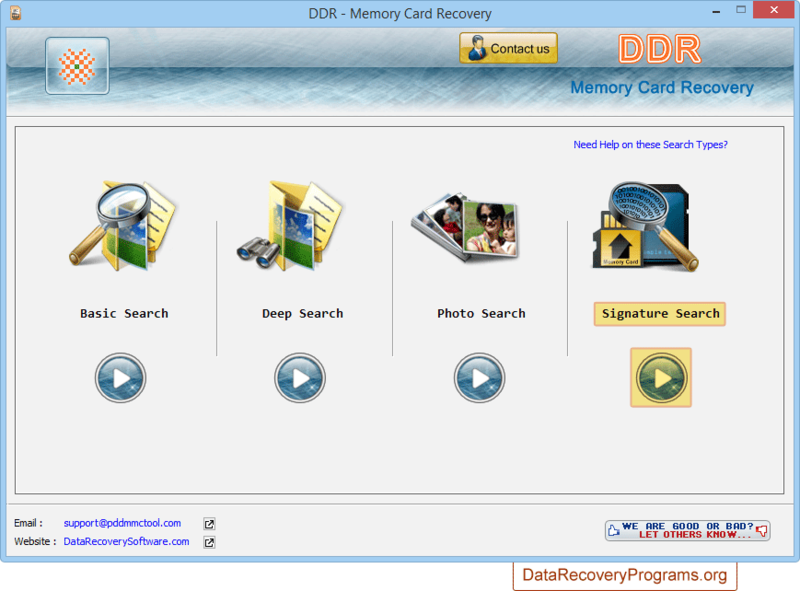 Memory Card Data Recovery Software provides advanced data recovery algorithm to restore lost or deleted files and folders from digital memory card storage media. 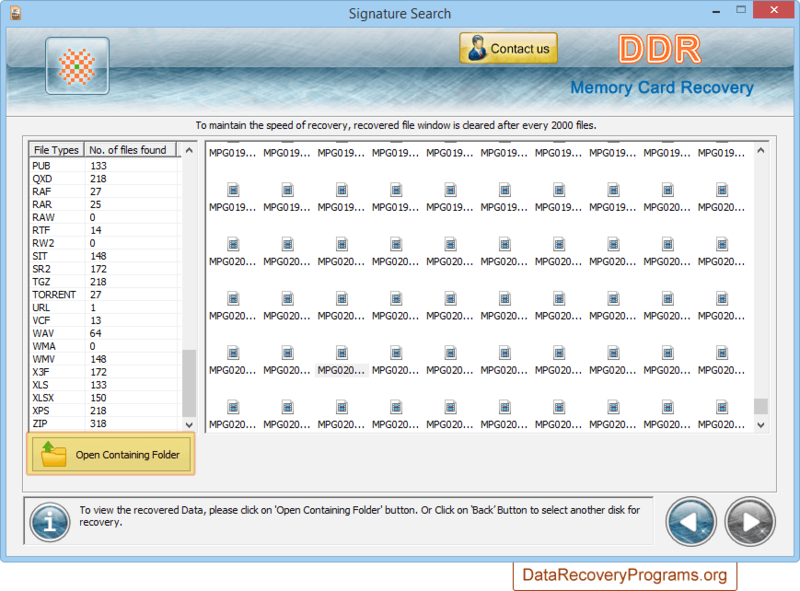 USB flash card file retrieval tool easily rescue accidently erased music files, images, audio-video songs, photographs and other commonly used data files from inaccessible media cards. 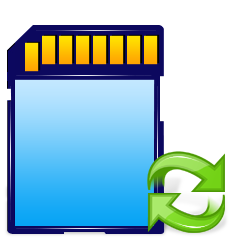 Memory card file backup utility facilitates quick recovery of files lost due to formatted, virus corrupted digital media card devices. Recovers files from formatted media drives. 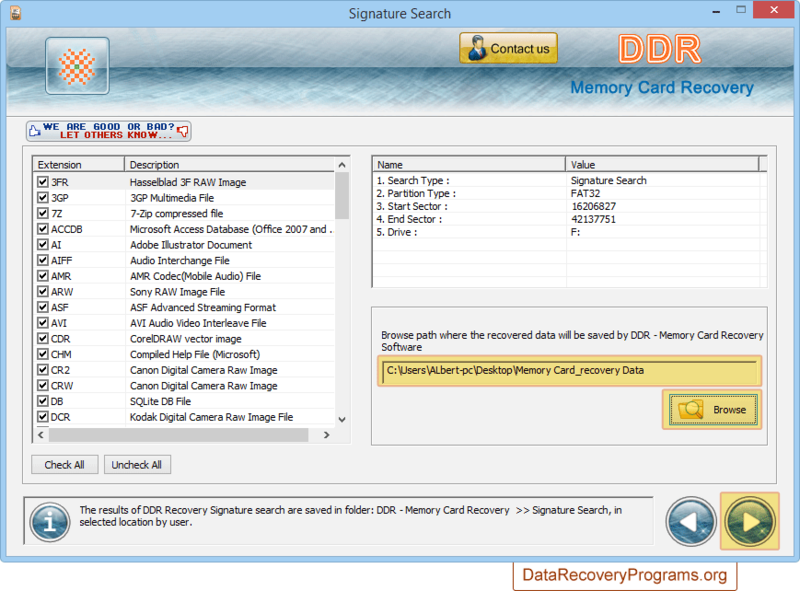 Restore data and folders from corrupted or inaccessible memory cards. Works with all memory cards types that include Memory Stick Pro Duo, Compact Flash card, Memory Stick, Mini SD, Secure Digital card, MicroSD, SD gaming cards, Trans Flash memory card, PC cards, Multi Media cards, Universal Flash storage, and Reduced MMC card etc. Supports all major memory card brands like Nikon, Canon, Sanyo, Kodak, Sony, Aiptek, BenQ, Acer, Philips, Digital Dream and many more of variable memory capacities. 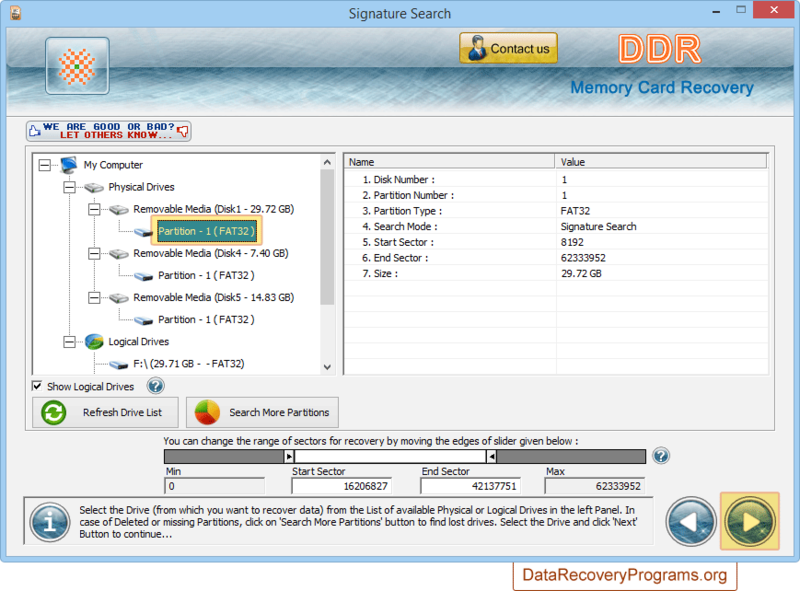 Select partition from which you want to restore lost data files and go to next screen. Browse path where the recovered data will be saved by software and click next option. 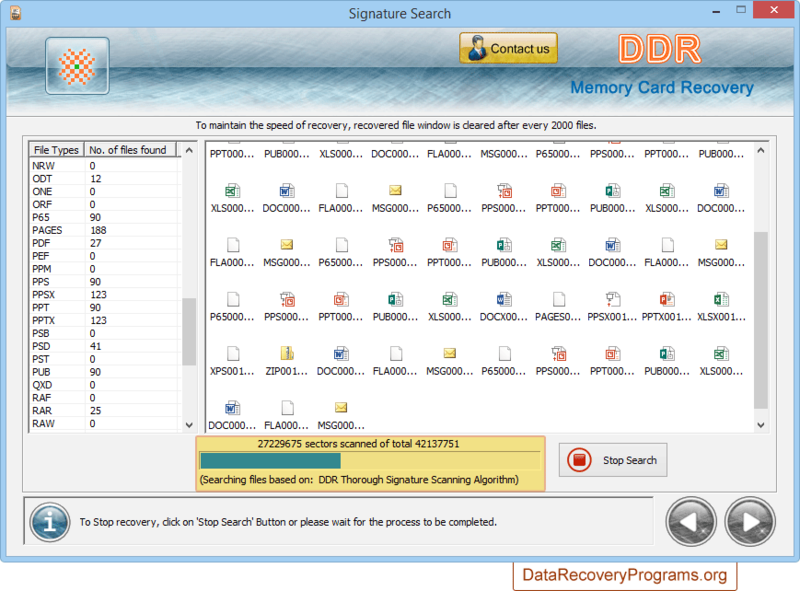 Above screen shows the current running status of data recovery process.